Does this look like you? It’s a very busy time of year for University students. Perhaps your stress levels are building. As I discussed in my first blog, stress occurs when we believe that the demands on us exceed the skills or resources (including time) that we have to cope with them. It’s what we feel when we think we don’t have what it takes to cope with what is going on in our life. We feel threatened. When we feel threatened, our nervous system reacts in a specific way. 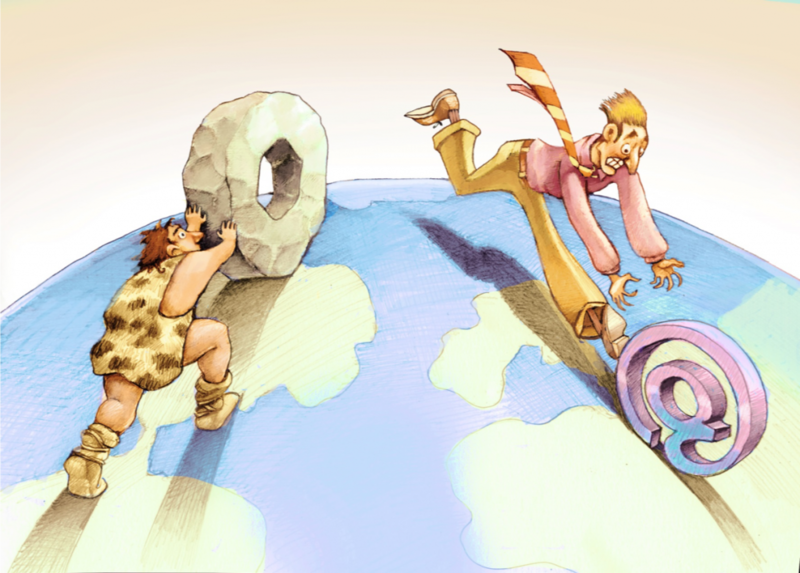 Surprisingly (and inconveniently), the way our bodies react today has not changed much since our caveman days, although the things that threaten us these days are very different than the things that threatened our predecessors. 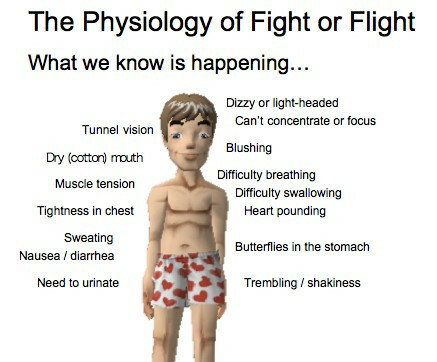 To deal with the stress, our bodies prepare to go into “fight or flight” mode. This made more sense when we were actually being chased by saber tooth tigers or aggressive enemies, so needed to fight or flee, than it does now that the kinds of things we need to cope with are having too many papers due, not being prepared for an exam, roommates who do not do their share of the cleaning or anticipating something bad (“I’m going to fail.”, “I won’t have enough money to get me through the year.”). When stressed, our sympathetic nervous system kicks into gear. Our heart rate may increase, and our breathing quickens to provide energy and extra oxygen to the body, our muscles may tighten up to become primed for action, we may feel a need to empty our bowels and bladder to make us lighter if we need to run away, and many more effects. Those bodily functions that are not immediately needed to save our lives (eating, digesting, reproductive functions) are put on hold. High levels of stress also disrupt the immune system. Now, when the threat has passed, the parasympathetic nervous system starts working, to help us to “rest and digest” – to slow down, relax and return to carrying out routine bodily functions. In our current lifestyle, however, if we have fairly steady levels of moderate stress, the parasympathetic nervous system never gets a chance to kick in, and our bodies don’t get an opportunity to rest, repair, or build up our immune systems. Stress can be exhausting and wear us down. 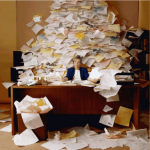 Many illnesses are stress-induced. 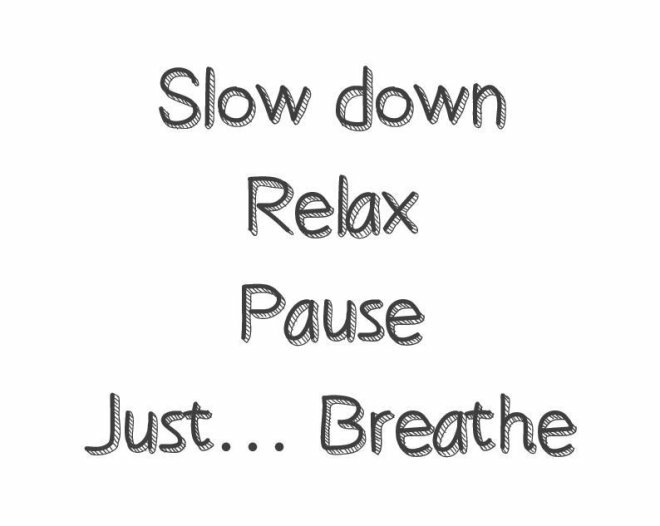 It is important to learn how to consciously relax at will, a “skill” to help us lessen our stress. One simple, but powerful, skill that can help us relax is deep breathing. Taking a full, deep breath triggers the parasympathetic nervous system. When the parasympathetic nervous system is activated, the sympathetic nervous system gets switched off (they both can’t be “on” at the same time). And because we always have our breath with us, this technique is a convenient, portable tool that you can use whenever you are feeling stressed. The technique is referred to as “calm breathing”, “relaxed breathing”, “diaphragmatic breathing” or “belly breathing”. 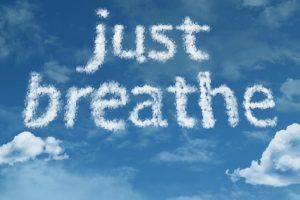 Calm breathing involves taking smooth, slow, and consistent breaths – slower and deeper than your regular breathing, and lower in the body – in the abdomen, not the chest. Take a slow breath in through the nose, breathing deep into your lower belly (diaphragm) until your belly rises. Take in the breath to a count of 4 or 5. Exhale slowly through the mouth, for a count of 4 or 5. It is a simple technique, seems straightforward, but the key is to have it ready to use when you need it, which is not always easy. It takes practice. I suggest you practice for 5 minutes, at least two to three times a day, making sure your breaths are slow, smooth and steady, in order to get good at it. Closing your eyes, if you are comfortable doing so, is helpful. Practice this breathing initially when you’re not stressed, to become comfortable with calm breathing before you actually need it. This way you can have it ready and more easily accessible when you are, in fact, feeling stressed and need a way to relax. Take care, and be good to yourselves, so practice calm breathing. 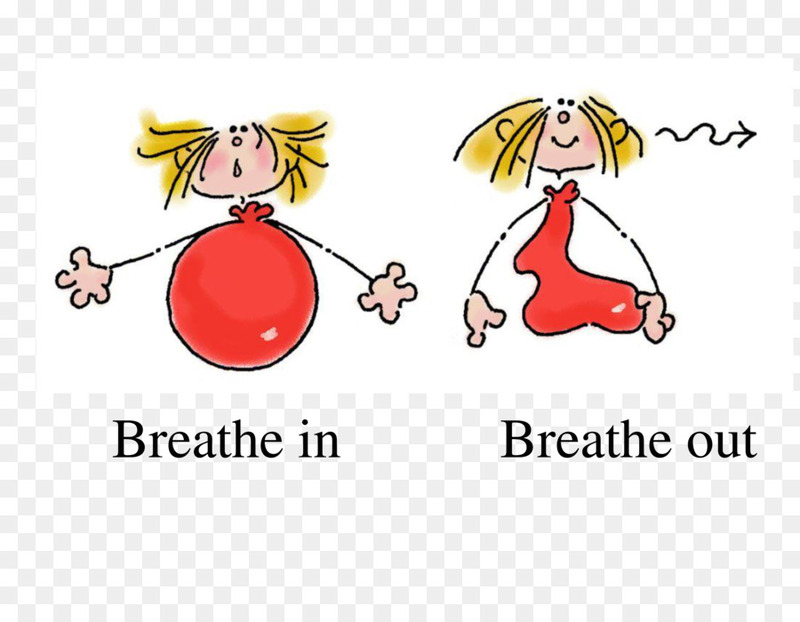 There are many deep breathing apps that you can find that can also help you to learn this skill. ← Do you suffer from baby elephant syndrome?